Nebraska held on to beat Arkansas State in a wild game that featured two special teams touchdowns, two safeties and a successful onside kick. Hail Varsity staff writers Jacob Padilla, Derek Peterson and Greg Smith offer three final takeaways from the game. It seems like there is a great deal of panic in Husker Nation after the narrow win over Arkansas State. I am not saying Husker fans shouldn't be concerned at all, however, I don’t think the “sky is falling” attitude is appropriate either. 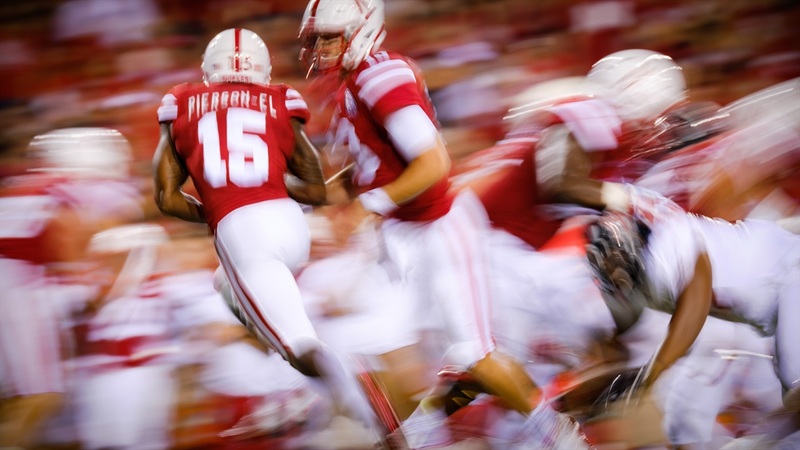 Nebraska was bound to have some bumps in the road with the new 3-4 defense, particularly because they don’t have many NFL-type talents to cover up for lack of experience in the defense. Also, the defense was bland on purpose. It almost bit them, but it’s most important to get out with the win. Offensively, I liked what I saw from Tre Bryant. Nebraska has found a workhorse running back if he stays healthy. The offensive line was up and down but did show flashes even though the penalties have to stop. The passing game was not as explosive as I thought it would be coming in, but it got the job done, I think we will look back on this game as one of Tanner Lee’s worst. In the end, like Mike Riley said, there is a lot on tape for them to correct which in the long run is good. This game won’t be talked about if they are firing on all cylinders come Wisconsin week. By any measure, 2016 was a pretty disastrous season for Nebraska punter Caleb Lightbourn. To be fair, many of the reasons for that were outside of his control. Lightbourn had to play as a true freshman after the death of Sam Foltz rather than redshirting as the coaches planned, and Lightbourn often did not get the best protection either. Lightbourn averaged just under 40 yards per punt — ranking him 93rd in the country — and had a handful of notable lowlights. He was one of 19 freshmen among the top 100 punters, 11 of whom were in the bottom 20. Talent was never the issue with Lightbourn. At 6-foot-3 and 235 pounds, he has plenty of power behind his punts. The issues were control and consistency. Enter Bob Diaco to provide Lightbourn with a little more tutelage and a bit of extra motivation. Lightbourn praised Diaco’s direction during fall camp and the early returns after one game are quite positive. Against Arkansas State, Lightbourn punted five times for an average of 42.7 (which would have ranked him inside the top 35 last season). Even better, three of those kicks landed not only inside the 20, but inside the 10. Last season, Lightbourn put less than a third of his punts inside the 20-yard line. Small-sample size, but three out of five against the Red Wolves is pretty darn good. Lightbourn caught a bit of bad luck on his first punt as it was returned for a touchdown. He booted the ball 54 yards and the returner initially muffed it, but he picked it back up and a coverage breakdown allowed the score. Lightbourn’s second punt went 53 yards thanks to a friendly bounce and was downed at the 10-yard line. His third and fourth punts went for 34 and 36 yards, respectively, but both were downed at the 4-yard line. Lightbourn’s final punt did show that he still has some work to do. Leading 43-29 with less than 4:30 to play, Nebraska had to punt from its own 28. Lightbourn dropped back and offered up a moon shot that traveled just 35 yards. To be fair, Arkansas State had a dangerous return man in Blaise Taylor and Lightbourn had to worry about out-kicking his coverage. He might even have been directed to kick it the way he did. But even so, I felt at least that Lightbourn could have done more with the punt and the result was great field position for the Red Wolves that they converted into a touchdown, making it a one-score game. That was Lightbourn’s most pressure-packed punt of the very young season. Regardless of that final punt, Nebraska pulled out a win and has to feel much better about its punting situation than it did a year ago. Lightbourn has showed improved control; now he has to keep it up and show improved consistency as well. Quarterback Tanner Lee threw for 238 yards and two touchdowns on 19-of-32 passing in his Husker debut. I’ll take a fresh approach to this one. 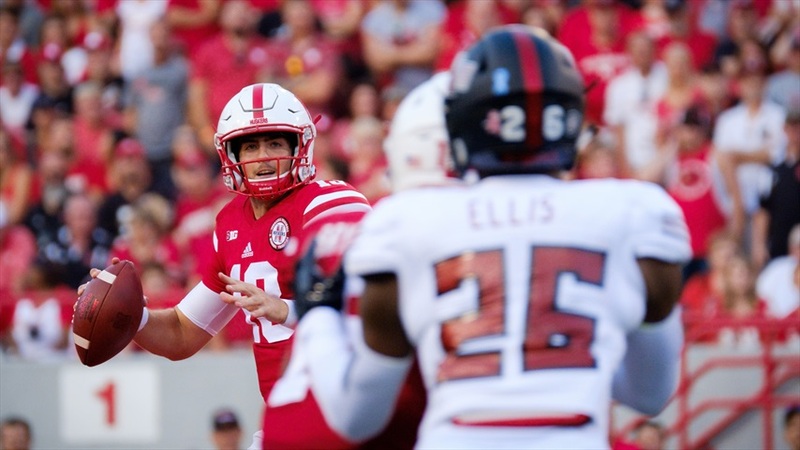 Quarterback Tanner Lee was efficient, running back Tre Bryant was effective and the new defense struggled at times, but I thought both tight end Tyler Hoppes and wideout De’Mornay Pierson-El had interesting outings, for two different reasons. First, Hoppes finished third on the team in targets (five), adding three catches for 40 yards and looked to have some pretty solid chemistry with Lee in the passing game. His 19-yard snag near the goal line was particularly interesting. Hoppes wasn’t open, but Lee fired a pass back shoulder and let Hoppes go get it. We heard head coach Mike Riley sing the 6-foot-4 tight end’s praise during camp, but it was surprising to see Hoppes already have the trust of his quarterback to be able to just go get a ball that Lee throws up for him. On the other side, Pierson-El had a weird outing. He didn’t log a single punt return, being forced to either let the ball roll past him or call for a fair catch. He had just two targets in the passing game, albeit one of those was an eight-yard score. And he got the call on two jet sweeps that picked up 23 yards. The problem was Pierson-El had one of the most electrifying plays of the night, except it didn’t count. In the third quarter, the senior wideout took a jet sweep handoff running to his left, broke through an Arkansas State arm tackle as he turned the corner and hit the jets, racing for a 71-yard touchdown. Problem was, Pierson-El stepped on the boundary line as he was trying to turn the corner and the longest offensive play of his career turned into just an 11-yard carry that didn’t even net a first down. Pierson-El’s only other touch of the night would come on the slant pass he caught for a touchdown early in the fourth. Nebraska’s offense put up 43 points against a good Arkansas State defense, but Oregon, its week two opponent, dropped 70. The Huskers might even need more firepower next week. Pierson-El showed playmaking ability and then didn’t get many more chances to make plays, I’m looking for that to change next week.